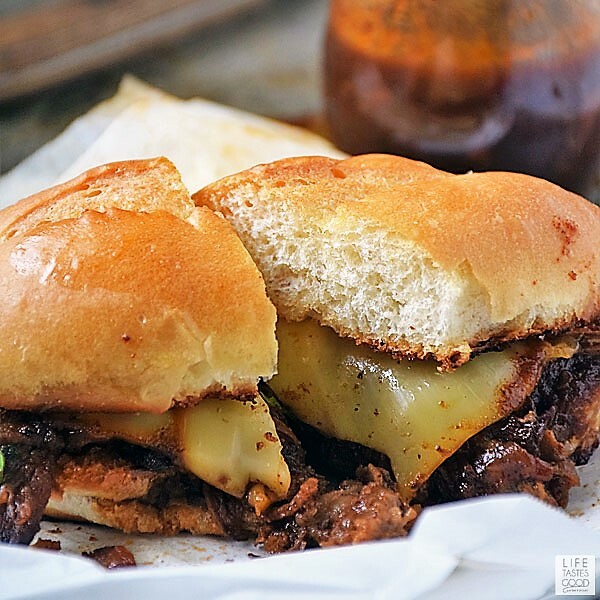 BBQ Brisket Sandwich is one our favorite ways to enjoy leftover slow cooked beef brisket. 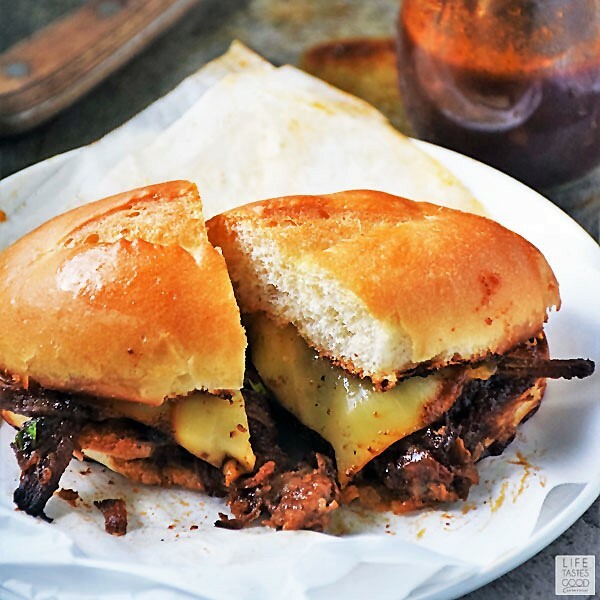 Tangy BBQ beef and smoky Gruyere cheese piled high on a grilled Vienna roll is an easy recipe your family will ask for again and again! 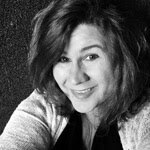 Oh my yumminess y'all! 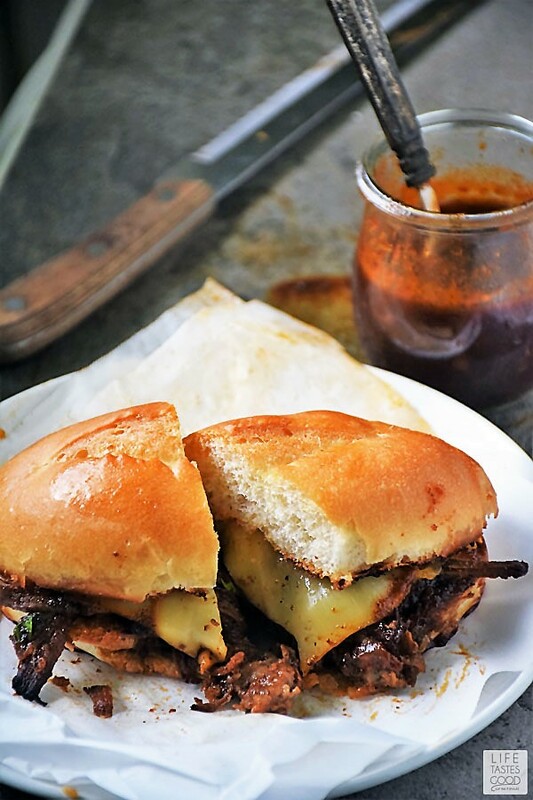 This BBQ Brisket Sandwich with smoky Gruyere cheese is a SANDWICH! This might be the best sandwich ever, but you'll have to try it and decide for yourself. With tender shredded Certified Angus Beef® brand beef brisket dripping in a homemade, tangy BBQ sauce topped with smoky Gruyere cheese and a touch of garlic butter on a grilled Vienna roll, you'll fall in love with this sandwich on first bite! Not only is this beefy sandwich delicious, it's also an easy recipe to make using leftovers of my Beef Brisket in Slow Cooker recipe. Meal planning is a breeze when you slow cook a beef brisket and use it in different meals throughout the week. We love the shredded BBQ brisket over mashed potatoes, as well as in this BBQ brisket sandwich, in tacos, over rice in a bowl with vegetables, and even in soup. Shredded BBQ beef can be used in so many different ways! I like to slow cook the beef brisket on the weekend and plan my meals around it for the week. This sandwich, and the many recipes I make using by Beef Brisket in Slow Cooker recipe, is always a favorite with my family and friends. I hope you like it as much as we do! In a microwave safe bowl, combine 1 tablespoon butter and 1/4 teaspoon freshly minced garlic with a pinch of kosher salt. Microwave to melt the butter. Heat a 10" skillet over mid-high heat. Spread melted garlic butter on both halves of Vienna roll. Place roll on buttered side down in the skillet and toast until golden brown. Turn roll halves over in skillet so the toasted side is up and pile the heated brisket on one half of the toasted Vienna roll. Top the beef brisket with 3-4 slices of smoky Gruyere cheese. Place other 1/2 of roll on top. Position the sandwich to the side of the skillet and place an ice cube on the other side of the skillet. Cover the skillet and cook for about 30 seconds to a minute or until the cheese is melted to your liking. NOTE: The ice cube in the skillet helps to create steam which melts the cheese nicely.